Invites from the Cupertino, Calif., electronics giant give almost no hints, saying “wish we could say more.” But the general consensus is that Apple will unveil its next smartphone. Apple on Thursday sent out invites for a press event on Sept. 9 in its hometown of Cupertino, Calif. The company provided few hints about what will be announced beyond saying “Wish we could say more.” That could indicate something related to Siri, Apple’s digital voice assistant. 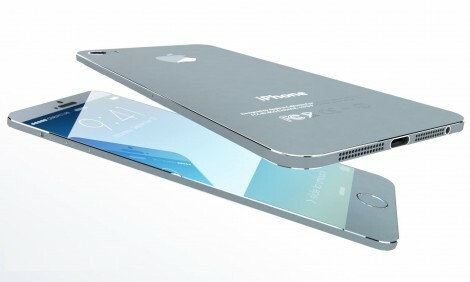 Generally, Apple is expected to introduce its newest iPhone, dubbed the iPhone 6. The company also could show off a wearable at the event. Many market watchers expect Apple to introduce two new iPhone 6 models with display sizes of 4.7 and 5.5 inches, though some recent reports speculate one device could be released at a later date. Analysts expect the iPhone 6 to be one of the largest product launches in Apple’s history — both in terms of device screen size and total sales. The company reportedly has asked manufacturing partners to produce about 30 percent to 40 percent more iPhones by the end of this year than it ordered for its initial run of last year’s iPhone 5S and 5C. For Apple, having a successful iPhone 6 launch is vital. Apple hosts only one phone event a year, and it generates more than half its revenue from its smartphone line. The iPhone serves as the linchpin to Apple’s overall growth, particularly as the market awaits the widely speculated iWatch and as the iPad struggles against lower-cost rivals and larger phones. Thursday’s invite came earlier than many market watchers expected. Typically, Apple sends out invites to the event a week before the launch. This time around, it gave reporters more notice, possibly because the invites would go out right after Labor Day if following the typical schedule. But the invite also came the morning after rivals Samsung and LG unveiled new smartwatches, which likely caused Apple to overshadow the Korean companies’ news. The venue on the De Anza College campus also is a change for Apple. It has tended to hold most device launches at the Yerba Buena Center in San Francisco or on Apple’s campus in Cupertino. But Apple also has some history with the Flint Center. Steve Jobs unveiled the first Mac at the venue in 1984, and he also showed off iMacs at the location in 1998 and 1999. The Flint Center can accommodate a larger crowd than the recent venues Apple has used, indicating the event’s importance to the company. Apple already has started making the Flint Center its own. The company has been building a large structure at the venue, which was earlier spotted by MacRumors. We’ve contacted Apple and will update the report when we have more information.